It may officially be Pi Day, but that doesn’t make it right1. The 14th of March is perhaps the least educational date we could pick for Pi Day. True, π=3.14; and, true, today’s date is 3-14 (using nonsensical American notation). That tells us what π is, approximately, it does not teach us what π means. 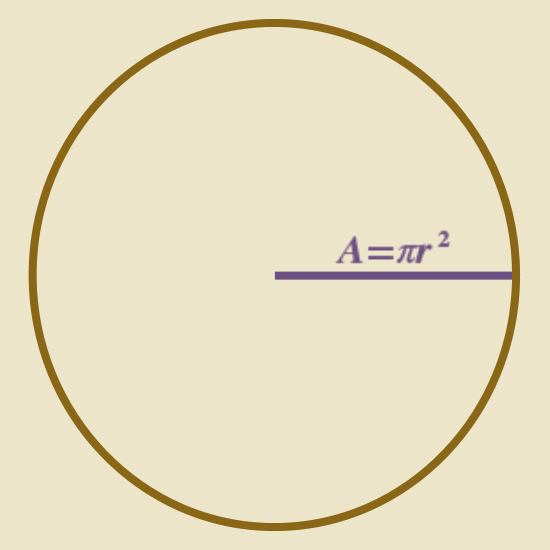 π represents the ratio between the radius and either the circumference (C=2πr) or the area (A=πr2) of the circle. Instead of picking a date for superficial similarity, we could pick a date that represents this ratio and promotes understanding over memorization of trivia. We can do this by setting the length of the year (365.25 days) as the circumference or area and calculating the radius that would appropriately give us π according to the relative formula2. Count r number of days from the start of the day and we have what should be Pi Day. If we treat the length of the year as the circumference, Pi Day would be 27 February (r=58). If we treat the length of the year as the area, Pi Day would be 11 January (r=11). I personally prefer the circumference approach as both measures are lengths and it makes sense to think of the year as a circle (1 January – 1 January). I have been informed that Mental Floss is running a special on π (and Einstein, it’s his birthday) themed gifts at their store with a 14% discount, cause 3.14. I’d argue that it should be 15.9% off (discount as proportional radius if full price is treated as the circumference), but no one asked me. 1. To rely on officialness is an argumentum ad verecundiam (as you can tell from the pretentious Latin, I just named a logical fallacy). 2. I’ve applied the same concept to Phi Day with some success (14 August), though that may be due to the fact that there is no 62nd day of January, which apparently has proven an insurmountable problem to the usual founders of nerdy pseudo-holiday (European date notation would permit 16 February). This entry was posted in Curiosities of Nature and tagged geometry, mathematics, pi. Bookmark the permalink. I have no dog in the Pi v Tau debate. Pi is the numerical holiday with social traction. So it gets our attention. I have no problem with a Tau Day provided it is on the 116th day of the year (26 April in non-leap years) not 28 June. I also endorse Phi Day on 14 August.